Long battery life....i like that because i talk too much and i charge it every 6-7 days.... Worth the money but for someone ho don't want camera, bluetooth, for me is the best simple cell phone.And the speaker is loud when ring and specially when you hear mp3. AnonD-1038, 03 Jul 2012I m buying this phone soon is there any problem like auto shut down or hangs n how is the flas... morefirmware version 7.5 or above does not have auto shut-down issue. Flash light is quite good. yes, it has 3.5 mm generic audio jack. 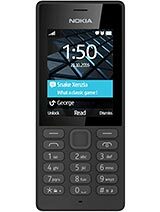 by the way...this phone has some inbuilt ringtone that u can change also u can use any ringtone by loading it into memory card. Dani, 04 Jul 2012Can we connect this phone via PC suit?no you can not. Can we connect this phone via PC suit? Can this phone set ringtone ? sam, 23 Jun 2012the device is good no doubt...but there is only one problem...when ever u make a call or recei... morebecause it is a dual sim standby phone not dual sim active...!!!! I think the reason why the other SIM gets deactivated whenever you make a call is likewise trying to imagine if you could call your other SIM with your SIM2. It would create a series of feedback in the line and would cause trouble to the network (try pointing the microphone of your karaoke to its speakers - something like that). Great fone. Loudest music fone on its price range. Dual sim capabilities is ok. But no file manager,bluetooth. Equip w/ jelly case for protection. Enjoy soundtrippin. 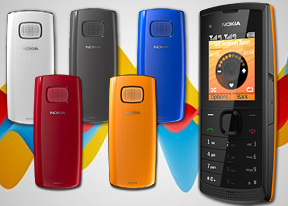 ..can you compare its loudspeaker quality to other nokia phone.? ..the bass quality and how loud it is.? 1. The battery life,how many hours/days will it last if used only in txting(where the backlight barely turns off).? ==> if u use the device jst for txting then it will last up to 3-4 days. 2. How many messages can it store.? ==> it can store near about 200 messages. 3. How many hours of charging when it is fully drained? ==> within 3-4 hrs it will b fully charged. 4. How is the music quality(talking about bass,twitter,distortion,without headset quality )? ==> more or less its good. 5. Any problems of the phone to be expected? ==> i have already mentioned about that in my previous post. . . . Thanks. After a long time returning to Nokia. I just bought one. It's so light and stylish in design. I hope it will work fine!